My Area Events (NJ Edition) – Targeted Event Directory Network Connecting Venues, Performers & Patrons! Targeted Event Directory Network Connecting Venues, Performers & Patrons! New Jersey: Home of Local Music! 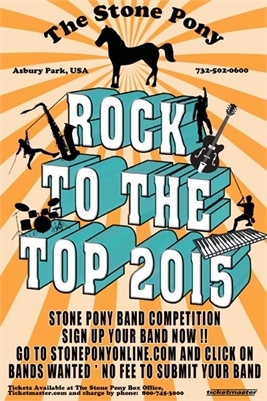 When you think of New Jersey many people think of live, local music. We have always had a thriving local music scene, even before Bruce Springsteen came along. Now it’s easier than ever to keep track of your local bands and make sure you never miss a show. My Area Events makes it easy! At http://www.myareaevents.com we have local music shows listed under a completely separate category: Music Local so it is easy to find your favorite venue or favorite band; to know what music is playing when and where. So the next time you are looking to get your live, local music fix, drop by My Area Events. And why not set up your free account while you are here so you can notified when your favorite band is playing in New Jersey again! Have a Laugh in New Jersey! Everybody needs a little laughter in their life. We take our laughing seriously in New Jersey, that’s why at My Area Events we have an entire section devoted to upcoming comedy shows. We have listings for comedy shows from Joel McHale , Brad Zimmerman , and Jenny Zigrino ! Halloween And Oktoberfest: Together Again! It’s time to grab your costume, your beer stein and prepare yourself to be entertained! 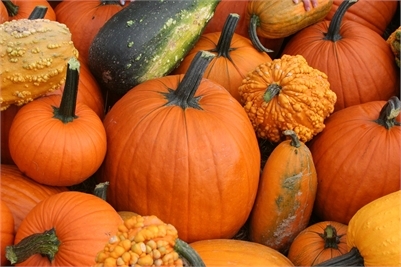 When it comes to special events, October is one of the most exciting months of the year. From haunted houses to beer tents to autumn festivals, there is something for everyone, all across New Jersey. That’s why My Area Events has created a special tab just for holidays and special events. In fact, we call it our “Holiday/Special Events” Tab and you can find it under “Events” or you can click this link right here. 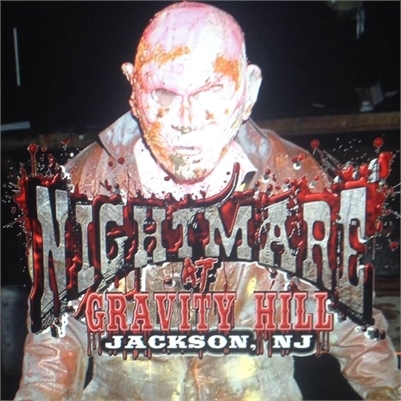 Start the Halloween season out right with a visit to Nightmare at Gravity Hill, at 1005 Farmingdale Rd, in Jackson, New Jersey, where their haunted trail will get your blood pumping and feet racing! Come explore the abandoned Ghost Town of Gravity Hill, its graveyard and its haunted fields. Experience for yourself all the worldly powers that make up the curse of Gravity Hill. Featuring an extensive cast of terrifying ghouls, zombies, kreepy clowns, and other haunted characters. If you’re looking for something a little less frightening and a little more family friend, make plans to head to the Great Pumpkin Festival at Heaven Hill Farm. They have more than 30 fun filled activities: Down on the farm all new Corn Maze, Pedal Go Carts, Farm Animals, Pig Races, Bee Barn,Spider web crawl, Maggie the Milking Cow, Monster Sling Shots, Barnyard Sports ball-cade, Post Pounders, Hay Crawl & much more!! 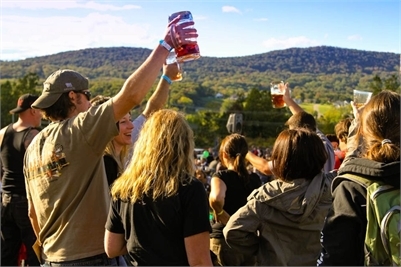 If this is the time of year you need a beer, then you should head to Oktoberfest at Mountain Creek Resort this weekend! Enjoy tons of carnival rides & games, wacky contests and more! Feast on delicious roast pig and knockwurst paired with authentic german beer. Kick up your heels to 18-time Grammy Award-Winner Jimmy Sturr & his orchestra plus a variety of special guests. It is going to be better than ever in honor of the 30th Year Anniversary! There is fun for the whole family at this Oktoberfest. We have these and more than three dozen other events listed for the Oktoberfest season already, so head on over to My Area Events and click the “Holiday/Special Events” tab. Or, just click right here to go directly to that section! My Area Events Website Launches! Targeted event directory network connecting venues, performers and patrons! How many times have you found yourself searching for fun things to do in NJ on the weekend? It may have been a live music event, a family friendly outing, A comedy show, Local Theatre, Festival or Fair… You tried looking in Newspapers & Searching the web but there was no one place that listed a lot or offered variety. WE HAVE A SOLUTION! FREE TO USE & BROWSE! Click the link above to take a look at the website. Feel free to explore and run searches on certain dates or just things happening in your area. You can also browse by category to find new and exciting events you didn’t know about all throughout the state! REGISTER FOR FREE TO PERSONALIZE! With your FREE Site Registration you will be able to Save EVENTS to your own private Calendar for later viewing, Save your Favorite Venues and Performers to refer back to and Much more! If you are a VENUE or PERFORMER you will be able to list your business or your band and post your own events! We use the internet to connect with others all over the world, right? but what about people, events, and things to do right in your own backyard? More and more Internet users today are seeking out things to do socially during their precious down time. They are searching for local events like a cool jazz concert in the park, a concert in an intimate venue that only the locals are aware of, or just checking out a venues event schedule so they can be prepared for an upcoming exciting event they just have to witness first hand! This has proven to be a time consuming task looking around multiple sites (Facebook, Area Activity Sites, Online Newspapers, etc, etc). Wouldn’t it be great if there was one central source to keep up on your areas of interest and let you save them to your calendar and receive reminders without having to scour the internet to plan your evenings, entertainment and events? A place where you can easily access your personalized list of favorite restaurants, nightclubs and more…. Something easily accessible from your mobile devices offering a quick “click to call” option as well as Maps and directions? A place to discover new & fun things to do and take a break from the mundane. Discounts, Coupons, News and more! 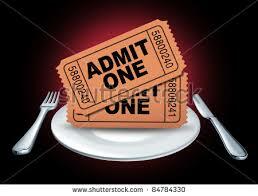 Hold on to your seats my friends…My Area Events is looking to bring you all that and more! More than 37 million Americans are expected to travel at least 50 miles from home this Memorial Day weekend, trying to forget the brutally cold winter that is in our rear view mirror. The holiday is expected to be quite busy, as travel is expected to increase by 5 percent from 2014, according to AAA. It’s the highest travel volume for the holiday in get this .. a decade!! There’s more good news – Most drivers should expect to pay the lowest Memorial Day gas prices in at least five years. Even though you’ve seen some rise in the gas prices in New Jersey, it sure beats paying near $4.00 a gallon! AAA predicts that more than 950,000 New Jersey residents will hit the road, skies, rails or water this weekend, a 4.6 percent increase from 2014. More than 88 percent of holiday travelers will drive to their destinations, a 5 percent increase from 2014, according to AAA. Beachgoers in New Jersey are thrilled for the getaway, too. It’s shore season, and in Belmar, Mayor Matt Doherty says his town is ready!! “Things are looking great,” he said “We have good public works employees who put the beachfront together, get the boardwalk ready. So we’re ready for middle-class families to come down.” Visitors are the lifeblood of the shore shops, and that loyalty is the only reason Jimmy’s Pizza Place not only survived Super storm Sandy, but is now thriving. “We came back tenfold,” owner Jimmy Kumaris said. “They were here supporting us. All I can say is thank you.” In fact, Kumaris is expanding this year, with more outdoor dining, a raw bar and fresh lemonade. “The returning customer is 60 percent of my business,” he said. “I don’t even know how to thank everyone for coming back.” Let’s also not forget the many venues drizzled along this fabulous New Jersey Shore where you can see some incredible bands perform all summer long. Not to mention the family oriented fairs and carnivals of the like. So while it’s time to kick off another summer season, it’s also important to remember why there’s a three-day weekend.